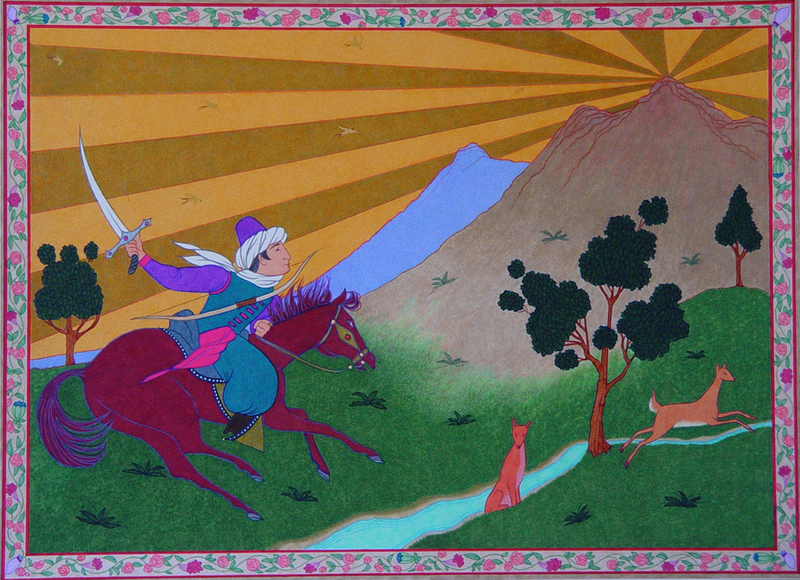 Description: Illustrated in the style of Armenian folk art. 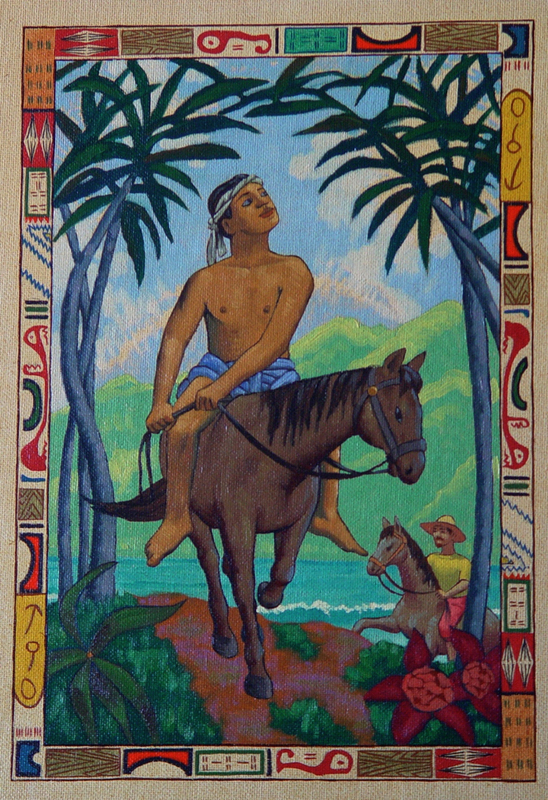 Description: Painted in the style of Paul Gauguin, the subject of the story. 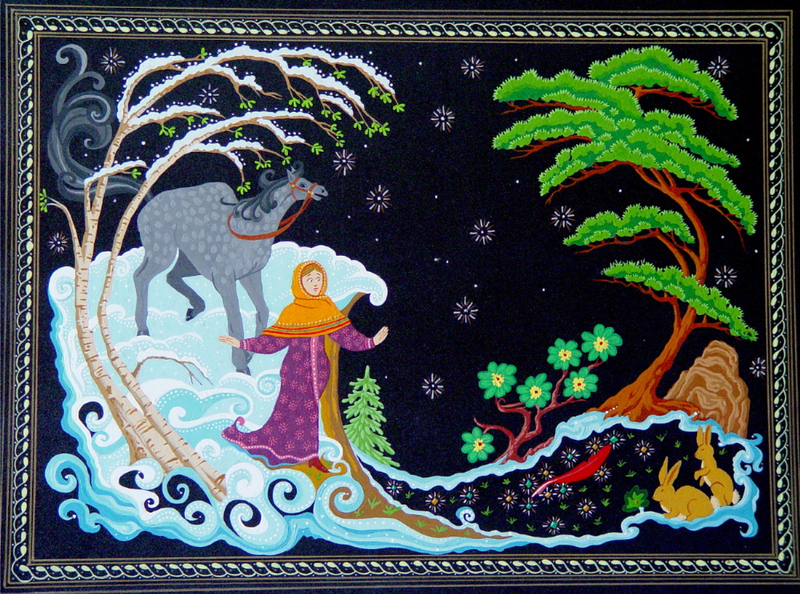 Description: Painted in the style of a Russian black lacquer box. The illustrations in this book were done in the styles of the cultures portrayed in the stories. Also, each illustration is bordered with a design reminiscent of the period and culture--the Tahitian paintings, for instance, with a border based on one of Gauguin's own designs. "....Florczak's illustrations adapt characteristics appropriate to the locations and time periods of each selection's origins: from the stylized, almost lacquered look of the tales from Asia to the rich tropics suggestive of Gauguin to the comical cowboy in The Mustang....This is an attractive volume, useful to teachers and librarians for read-alouds and of interest to horse-loving youngsters."